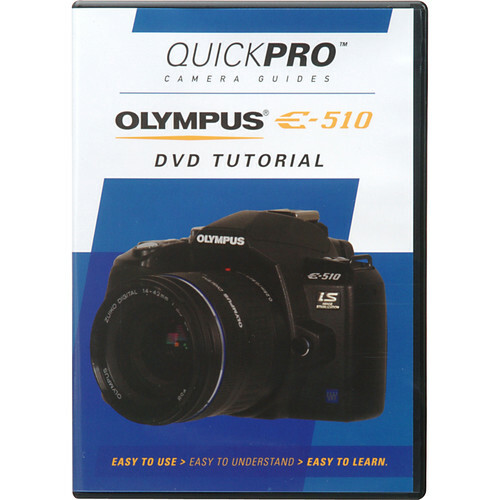 The DVD: Olympus E-510 Camera - This instructional DVD will help you get the very most out of your camera, from setup and maintenance to an in-depth understanding of the numerous features and options that often get overlooked. This DVD will truly prepare you to take pictures like a pro. DVD: Olympus E-510 is rated 4.0 out of 5 by 1. Rated 4 out of 5 by dirtman13 from Good DVD This was a good DVD. I was hoping for something with a little more on the advanced features but if you want to learn the basics I highly recommend this DVD.